Catalina Island trips include transportation to and from the Island. Overnight trips are two Full Days of fishing and include lodging on the Island. Fish Catalina with our expert Captains and experience the Island like never before! We have a long history of success fishing Catalina Island and will share years of knowledge with you. Catalina is home to some of the best fishing California has to offer year round! You can expect to see a wide variety of fish depending on the time of year. Including; Yellowtail, White Sea Bass, Tuna, Marlin, Dorado, Barracuda, Bonita, Halibut, Lingcod, and Perch, just to name a few. Catalina is also home to some of the best Lobster fishing on the West Coast. Lobster fishing is seasonal but when it’s open we are accustom to getting full limits for each customer. Our speed driven sport fishing fleet will get you to and from Catalina Island fast! We will have time to fish multiple locations on any given charter. Our Captains are A+ at assisting first time Anglers, and can just as confidently lead a seasoned vet to a fish of a lifetime. We grew up fishing off the Coast of Southern California and are experts at finding fish year round. We pride ourselves on hunting down big fish. We will put you in the most likely spots for success 100% of the time. Rods and Reels – we will have 10 different rods and reels set up for the variety of fish we will target. Tackle – we carry all top of the line tackle and jigs. Live Bait – we will have the best live bait available. Ice & Fish Filleting – we will keep your catch fresh on ice and will fillet your fish. Fishing charter options for Catalina Island include full day and overnight trips. Trips can depart from Dana Point, Newport Beach or Long Beach. 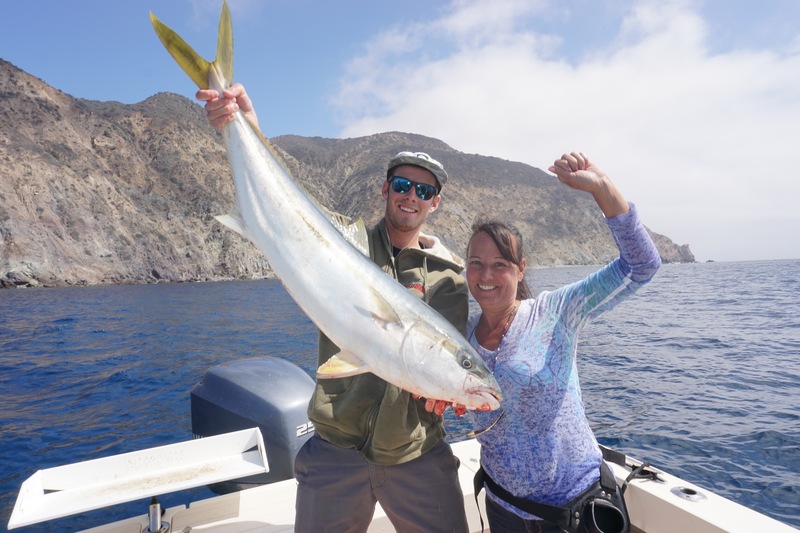 Overnight – Overnight Catalina trips are 2 full days of fishing and include lodging on Catalina Island (standard lodging is for 2 adults, up to 4 adults can be added). 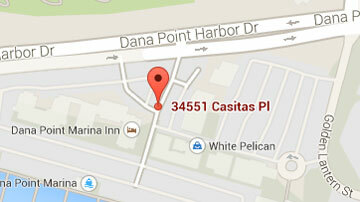 We specialize in private sport fishing charters out of Dana Point Harbor in Southern California. We offer fishing, scuba diving, free diving, whale watching and coastal sightseeing. All of our boats come equipped with the latest equipment from Accurate Reels.